​​Commentary by Rafael Zambrana Dec 6, 2014. "The process by which Banks create money is so simple, that the mind is repelled"
TO EXPLAIN the vital function money has in the structure of the modern, sophisticated economy, we have to present it with the same importance blood has in the proper function of a human body, where blood distributes oxygen and other critical inputs the body requires to live, bringing to every cell all it needs to keep it alive. Similarly Money has a vital function in the economic structure to allow the diverse economic agents to exchange their goods and services to keep the economy vibrant and working properly. In the case blood is taken out of the body because of an accident or another cause, the body can die within minutes, even if it was healthy and full of life. In the case of trading with each other the results of stopping the flow of money, have similar effects in the economic organism, with upsets in the economy, resulting in a stalling of the economic activity, with bankruptcies and dislocation of resources, loss of jobs and tax revenue as we have been suffering since the Global Debt Crisis of 2008. For the purpose of explaining this complex situation and acknowledging the importance of blood in our bodies, let's say there is one person in society you have to get your blood from, and this individual charges you a cost to obtain that blood for you to live. This places that person in a position of extreme power over everybody because everyone's life is dependent on obtaining that precious blood from him. Now think for a moment what is like if you were part of a group of 100,000 people who produce diverse products and services you all need and decide to use a medium of exchange to trade with each other. Given that bartering is so awkward imagine one person decides to produce a series of paper receipts having different values to measure the cost of the products and services being exchanged and it's agreed by all to call these units "money". This man decides he will only create this currency in the process of offering the credit everyone requires to trade with each other, so he becomes a money lender and all this money ONLY exists while the loan is still not paid back to him. 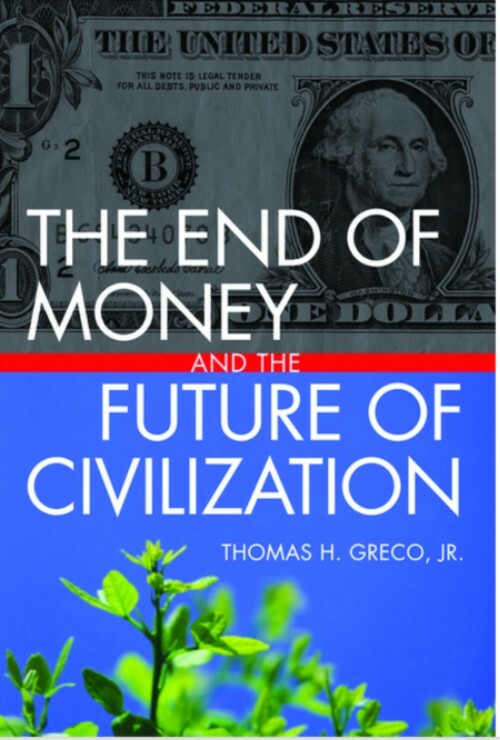 However when the loans are paid back, this "money" disappears and if the group wants more of it to expand their trading, someone in it has to "borrow" more cash to expand the Money Supply of the group and generate more economic activity. He then decides to charge everyone for the use of this money as "interest" because he claims he's "lending" this money into existence and he should be remunerated for his efforts, even if he only punches numbers in a computer to create it after this person, to save expenses, moves from printing and coining it, to produce digital representations of that "money" to bring more efficiency to the operations, and starts to deliver plastic pieces called Credit Cards to perform the transactions quicker to all involved. 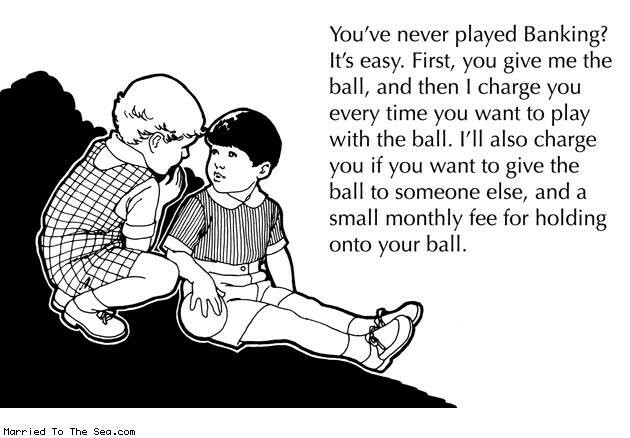 Well, this is basically how "bankers" have been able to fool the rest of society into believing in their idea of money, while producing "money" out of thin air to bribe the politicians and Supreme Court's judges to bend the laws to benefit the bankers. They "give" millions of "money" to universities to keep this information out of the regular curriculum, even of the financial studies. The majority of people working in banks are doing their jobs unaware of the scam they are perpetuating on society and the outrageous negative effects this activity has on everyone. 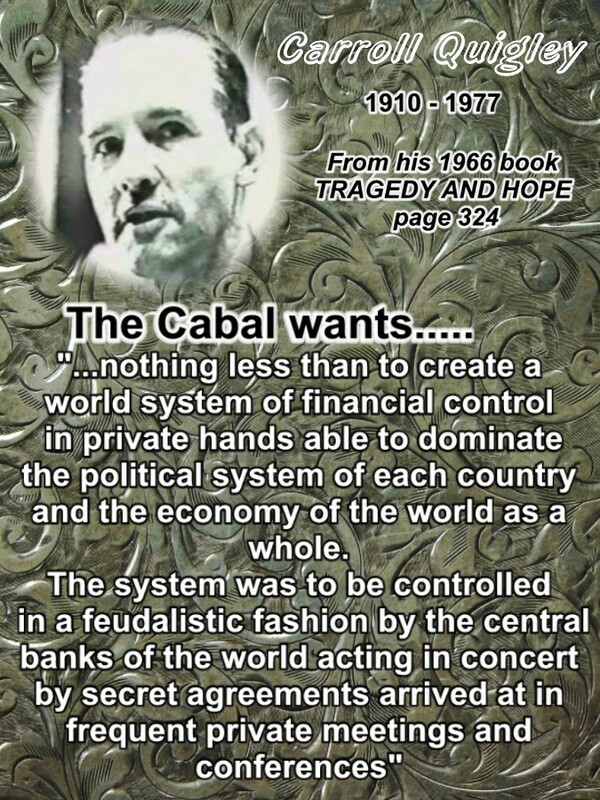 PLUS this activity that has been carried out by a few families (some call THE CABAL) for hundreds of years (at least since the foundation of the Bank of England in 1696) has triggered in them a form of repudiation for the masses of people who they feel are too easily fooled into accepting something so destructive to them, therefore they have developed a sense of disrespect for everyone outside of the scam. They treat us as the farmer treats the cows he milks every day, or the chicken he steals their eggs from, only minding we are "healthy" enough to produce, but not conscious enough to realize the scam they are perpetuating. 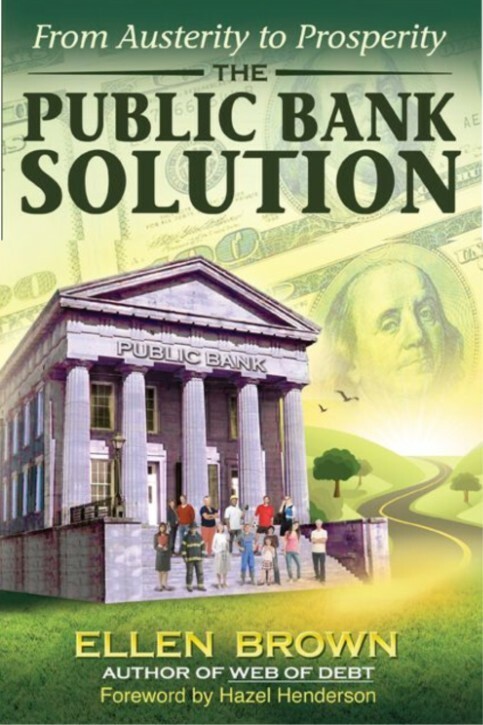 Now when a politician or some idiot in the TV's business news screams "TOO BIG TO FAIL" referring to big bank's troubles, you'll understand how ignorant and deceiving they are. The question is why all the warnings that many famous people have been blaring at us from the past, for hundreds of years, have not been taken into account for us to avoid being USED and deceived by a few clever thieves who call themselves "bankers" but are truly defrauders who use a scam to live off others without producing anything, only lies. After they convinced politicians to give bankers a license to create the Money Supply we all require to conduct trade, since then they have been using this activity to fleece us all from our hard earned efforts in producing consumer products and services. It is all based on TRUST and an agreement to accept money as the mode of measuring our products and services, so we can have a sophisticated economy with millions of products made by millions of people around the world. 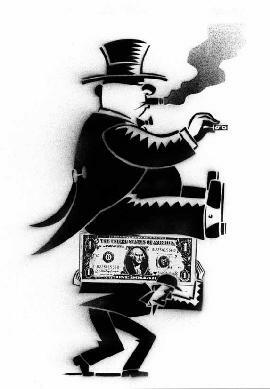 The bankers have become the hidden "middle men" robbing us all using "interest" as a way of stealing from everybody who really produce in the Real Economy. Once we realize that every single dollar, euro, peso etc. 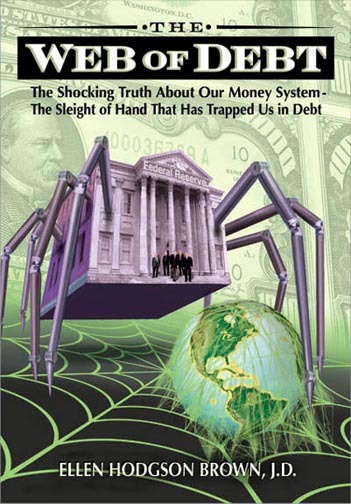 in circulation has to be in debt to a bank to exist, then you know a fraud is happening of huge proportions, in the many trillions and that all this money is produced out of NOTHING, and yet they charge us interest in order to use it as a mode of exchange??!! A NOTICE HAS TO BE GIVEN TO ALL THOSE WHO THINK SINCE THEY OWE NO MONEY TO A BANK, THEY ARE FREE. NOT SO, BECAUSE THEIR SOCIETY IS IN DEBT TO THE SAME SCOUNDRELS VIA THE NATIONAL DEBT, AND THE TAXES THEY ARE FORCED TO PAY ARE PART OF THE SCAM. EVERY SINGLE CHILD BEING BORN IN CANADA IMMEDIATELY IS SADDLED WITH A PERSONAL DEBT OF $18,325,170 DOLLARS GENERATING COMPOUNDED INTEREST, and the debt keeps getting larger. It's a "catch 22" benefiting the commercial bankers, and the system insures we're caught in it for ever...... until we become aware and stop it.